Raleigh, N.C. – Homebuilders and buyers across the country can experience Cherokee’s Mainstream GreenHome through a new, online virtual tour at www.mainstreamgreenhome.com. The interactive tour showcases the cutting-edge features of the Mainstream GreenHome, an idea home that brings green building to a home that looks and feels like its neighbors yet uses less energy and water and provides a healthier living environment. Designed to educate visitors, the virtual tour displays green features accompanied by an explanation of the product or technology along with links to additional resources and the product manufacturers. Corresponding images show how the systems and products are used throughout the home to reduce its environmental footprint. “We created the Mainstream GreenHome to encourage homebuilders to consider healthier design and construction and to show that an ecologically sensitive lifestyle is possible no matter the style of the home,” said Tom Darden, CEO of Cherokee. “With the virtual tour, everyone from national developers to the general public can explore the home and see how smart design reduces strain on the environment and improves quality of life.” The award-winning home, located in Raleigh, N.C., is the first known sustainable demonstration home to be built in a conventional subdivision and the first LEED (Leadership in Energy and Environmental Design) for Homes Platinum-certified residence in the Southeast. Cherokee and hundreds of partners, including the National Association of Home Builders, worked together to encourage mainstream use of green building practices. The GreenHome’s unique products and materials prove that the aesthetics and convenience of a traditional home can coexist with design elements that save resources. When compared to the average home, the GreenHome reduces water use by an estimated 60 percent, is 45 percent more energy-efficient and provides improved indoor air quality. 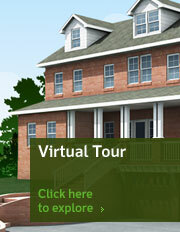 Please visit www.mainstreamgreenhome.com to explore the new virtual tour and learn more about the Mainstream GreenHome.